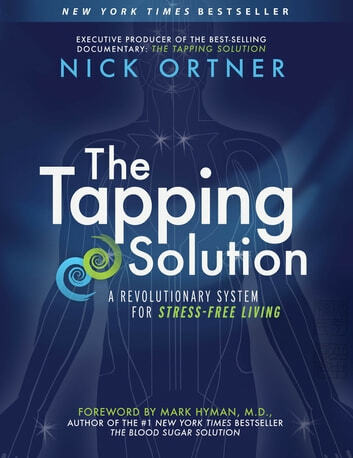 Nick Ortner, founder of the Tapping World Summit and best-selling filmmaker of The Tapping Solution, is at the forefront of a new healing movement. In his upcoming book, The Tapping Solution, he gives readers everything they need to successfully start using the powerful practice of tapping – or Emotional Freedom Techniques (EFT). Tapping is one of the fastest and easiest ways to address both the emotional and physical problems that tend to hamper our lives. Using the energy meridians of the body, practitioners tap on specific points while focusing on particular negative emotions or physical sensations. The tapping helps calm the nervous system to restore the balance of energy in the body, and in turn rewire the brain to respond in healthy ways. This kind of conditioning can help rid practitioners of everything from chronic pain to phobias to addictions. 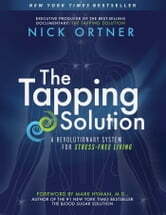 Because of tapping’s proven success in healing such a variety of problems, Ortner recommends to try it on any challenging issue. In The Tapping Solution, Ortner describes not only the history and science of tapping but also the practical applications. In a friendly voice, he lays out easy-to-use practices, diagrams, and worksheets that will teach readers, step-by-step, how to tap on a variety of issues. With chapters covering everything from the alleviation of pain to the encouragement of weight loss to fostering better relationships, Ortner opens readers’ eyes to just how powerful this practice can be. Throughout the book, readers will see real-life stories of healing ranging from easing the pain of fibromyalgia to overcoming a fear of flying. The simple strategies Ortner outlines will help readers release their fears and clear the limiting beliefs that hold them back from creating the life they want.